It’s been an exciting month for Australian physics. And particularly for women in physics. We started with a call for gender balance around the world on International Women’s Day earlier this month. The AIP is striving to achieve gender balance in a variety of ways, including the Women in Physics group and annual Women in Physics lecture tour that supports a female physicist touring the country. I’m very excited to announce the Women in Physics lecturer for 2019: a talented physicist who will be spreading the good word about how neutrons can save the world. Read on to see who it is! We thank Pegah Maasoumi for her time as the Chair of the Women in Physics group for the last two years. We are looking for a new chair of this committee. Please send in an expression of interest if you’d like to take on this important role. The cut off to renew your AIP membership was last Sunday, but it’s easy to renew (just email aip@aip.org.au with your request). If you need your memory jogged about all the benefits of being a member of AIP, read on below. Jacq Romero is on a winning streak and will receive $1 million in combined funding over three years for the Westpac Research Fellowship. Our 1999 Women in Physics lecturer, Jocelyn Bell Burnell, has donated her £2.3m Breakthrough Prize to the Institute of Physics to a new PhD scholarship fund to encourage greater diversity in physics. Register your interest to keep up to date with the Scholarship Fund. I attended Science and Technology Australia’s (STA) President and CEO Forum in Sydney last week. STA represents more than 77,000 scientists and technology workers and is heavily focused on promoting science in the upcoming election cycle. We added the AIP logo to the STA media release as part of the #SolveitwithScience campaign (along with those of almost 100 other Australian science and technology organisations!) I encourage you to support the campaign by writing to or meeting your local member or candidates. More below. The 14th Asia-Pacific Physics Conference will be held in Malaysia from 17-22 November. Only eight Australians are registered so far and it would be great to see a stronger Australian cohort. Last time this conference was held in Australia. Submit your abstracts before Monday 15th April. Also in April: the largest telescope in Victoria officially opened, physicists found that quantum tunnelling is instantaneous, National Science Week grants are open and it’s prize season so don’t forget to nominate, or encourage others to nominate today. Finally, as part of a push to make the AIP a useful resource for our student and ECR members, keep an eye out in our new section called Jobs Corner. We’re going to start featuring physics-related jobs. Send us through any opportunities you’d like to advertise and we’ll include a link for free. It is with great enthusiasm and delight that I step into the role of the new President of the AIP. I’m looking forward to meeting many of you over the coming years at AIP events. I would like to take this opportunity to first warmly thank Andrew Peele for his hard work and dedication to the role of President over the past two years. Big shoes to fill. It has been a busy start to the year. 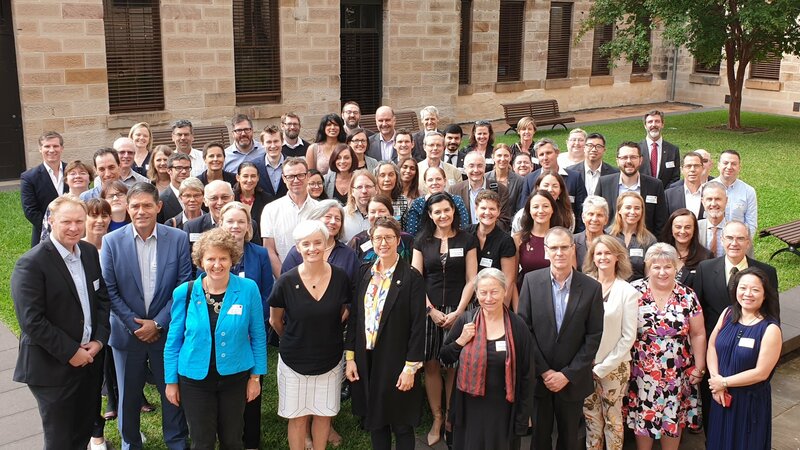 The AIP was recently involved in the review of the Australian decadal plan for Australian Physics and in mid-February the AIP had our Council Meeting and AGM. Given that the AIP has seven state branches, eighttopical groups and nine Cognate Societies council meetings are always a very full two days. The scope of activities undertaken over the past 12 months was very impressive, as are many of the exciting events currently being planned for this coming year. The council meeting was also a chance to welcome our new Vice-President Sven Rogge from UNSW to the AIP national executive. Sven will take over as AIP President for two years from 2021—so the future is looking bright. We also fondly farewelled Warrick Couch as he stepped down from the national executive as Immediate Past President. You can read more on the Exec team below. The review of the Physics Decadal Plan at the Shine Dome also was a full two days. You can see my recap below. We’re aiming to publish the final review report by October and will need the support of the Australian Physics community to review and then ultimately implement this plan—so watch this space! Last month the independent review into the Defence Trade Controls Act was praised by Universities Australia, the Group of Eight, the Australian Academy of Science and others. The AIP hopes that Australia adopts the recommendations of the review of the Defence Trade Controls Act—a sensible and workable approach that enables researchers to interact smoothly with our colleagues overseas and in industry without compromising Australia’s national security. And if you’ve been thinking about commercialising your physics research but need some tips, the very successful entrepreneur Andre Luiten offers some suggestions as head of the Institute for Photonics and Advanced Sensing (IPAS) at the University of Adelaide and co-founder of Cryoclock Pty Ltd. More below. It’s my pleasure to congratulate quantum physicist and AIP member Jacq Romero who has been selected as a L’Oréal International Rising Talent. Congratulations on this wonderful achievement—hot on the heels of her AIP Ruby Payne-Scott Award! This year we’ll be featuring science prizes, job opportunities and conferences, especially for our early-career and student members. Please spread the word and encourage others to get involved with the AIP. Follow the AIP at @ausphysics on Twitter and Facebook for updates on physics news, events, prizes and job opportunities around the country. The AGM is a great opportunity for members to give feedback on the future direction of the AIP. It will be held at The University of Melbourne on February 11th and 12th 2019. Everyone is welcome to attend and particle physicist Elisabetta Barberio will give a public lecture about the Higgs boson and the search for physics beyond the standard model. On Australia Day four physicists were appointed to the Australian Honour Roll. Congratulations to Elaine Sadler, Ron Ekers, David Malin and Albert Pittock. Saturday also marked the end to quantum physicist Michelle Simmons’ tenure as 2018 Australian of the Year. Congratulations Michelle on a wonderful year. Congratulations to the remarkable Tanya Monro on her new appointment as Chief Scientist at the Defence Science and Technology Group. It’s 20 years since Tanya won the Bragg Gold Medal for the best physics PhD thesis. We wish you all the best in the new role. 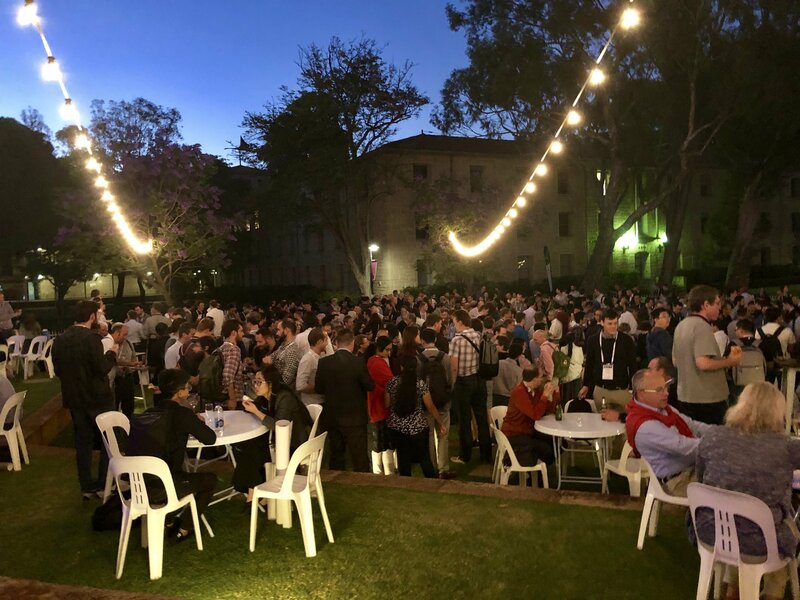 We had a fantastic conclusion to 2018 with 789 attendees at our Congress in Perth, including a dozen excellent plenary speakers from around the world. Read more below about the plenary talks about gravitational wave detection, metamaterials that can act as invisibility cloaks, and holographic optical tweezers. Our next Congress will be in 2020 in Adelaide—thank you to Andre Luiten and his team for hosting. Congratulations to the six 2018 AIP medallists: including particle physicist Elisabetta Barberio, optical and quantum physicist Jacqui Romero, Michael Johnston for his significant contributions to applied science, Andre Luiten for his leadership in commercialising breakthrough research to support industry needs, Yevgeny Stadnik for their thesis on dark matter and fundamental constants, and Maria Parappilly for significant contributions to physics education in Australia. More on those awards below and a story about how Maria is making physics more accessible to students. There’s another chance to have your say on the future of physics following the meeting about the Physics Decadal Plan at the 2018 AIP Congress. The National Committee for Physics will be meeting in Canberra in the coming weeks to conduct the mid-term plan review, so please have your say in the survey online. RMIT’s Min Gu has been recognised by the International Society of Optics and Photonics for his work designing the world’s thinnest hologram. More below. We’re also helping circulate the Association of Asia Pacific Physical Societies’ bulletin to raise their profile. You can subscribe to their bi-monthly bulletin online, which aims to promote the research developments and activities in the field of physics in the Asia Pacific region. This is my last bulletin as President of the AIP. Next month you will be hearing from Jodie Bradby, who will be taking over the reins. It has been a busy and enjoyable two years where I think we have continued the good work of previous committees in communicating the vital importance of physics for all Australians. My profound thanks and respect goes to my fellow executive committee members, to our branch and other committees around the country, and to you—our active and innovative physics community! CORRECTION: An earlier version of this introduction stated that it was 11 years ago since Tanya Monro won the Bragg Gold Medal. This online newsletter has been corrected to say 20 years ago. As the 2018 Congress approaches and the year draws to a close, I’d like to reflect on the last 12 months as we gather our energy for 2019. 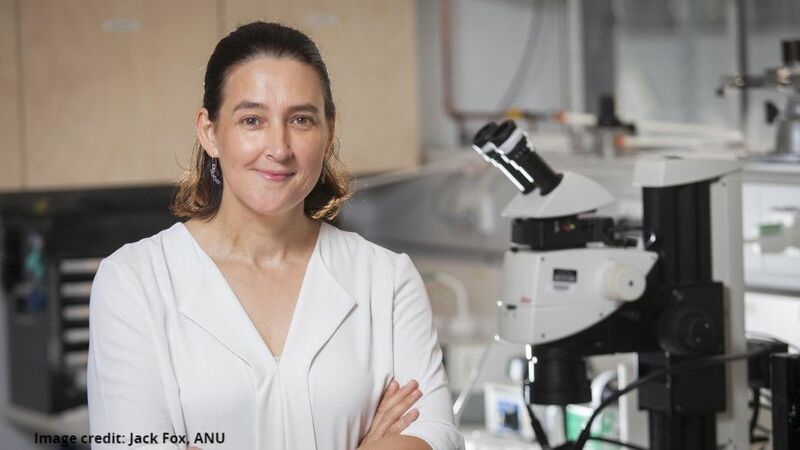 It’s been a stellar year for Australian physicists, with several of our own recognised with prestigious awards throughout the year. Top billing of course goes to Michelle Simmons, Australian of the Year 2018. Michelle has been a wonderful advocate of our discipline, bringing public awareness of quantum physics to the fore. Her team recently overcame yet another hurdle on the path to silicon quantum computing with the demonstration of a compact sensor for qubit readout (see Aussie Physics in the News). The six physicists appointed to the Australian Honour roll. This year the 2018 AIP Women in Physics Lecturer, plasma physicist Ceri Brenner, has done a tremendous job in advocating for physics and female physicists. She spoke at 30 events across Australia during National Science Week and was featured on ABC’s The World for her work in developing powerful lasers. 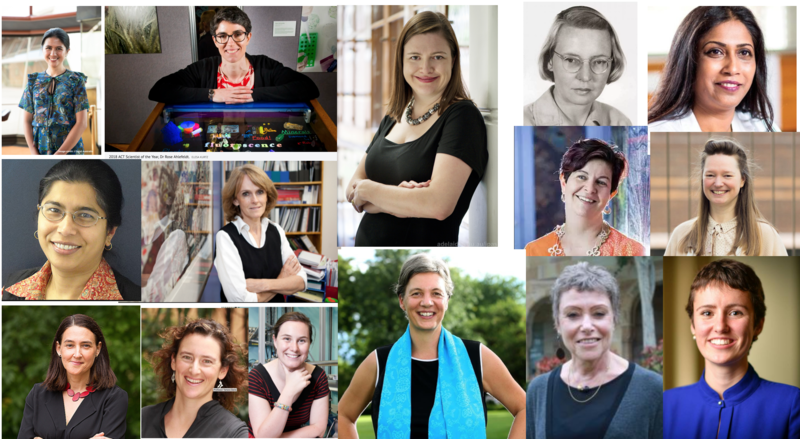 Nominations for the 2019 Women in Physics Lecturer close on December 14, so if you know an Australian female physicist who has made significant contributions to the field, nominate today. More below. In 2019 we must continue striving to ensure that the Australian public and government are well-informed of the benefits of physics research. I hope to see you at the AIP Congress next week. And an announcement yesterday spread internationally about physicists who detected a gravitational wave signal that was produced by the biggest black hole collision seen so far. A huge congratulations to all involved and particularly to Susan Scott from the Australian National University, who will be presenting new results from the first two observing runs of Advanced LIGO and Virgo at the Congress. The highlight-packed program can be read on the AIP Congress website. Oxford active-matter expert Julia Yeomans, China’s quantum guru Jianwei Pan and gravitational wave Nobel laureate Rainer Weiss. Among the usual dazzling array of presentations at the upcoming AIP Congress in Perth, these are three I’m particularly excited about. Not to mention a special announcement from OzGrav on the final day. The Congress begins on the 9th of December and registrations are still open. Please join us. The time has come for a mid-term review of the Physics Decadal Plan. If you have suggestions about new opportunities for physics in Australia, now is the time to make them. We’ll be discussing the Plan in a Town Hall session at Congress. For schoolteachers and other physics educations, the Physics Education Group will also be running a lively program at Congress including workshops and networking sessions. Special registration rates for schoolteachers are available. The past month has seen a strong crop of prizewinners in the physics world. Congratulations to all. 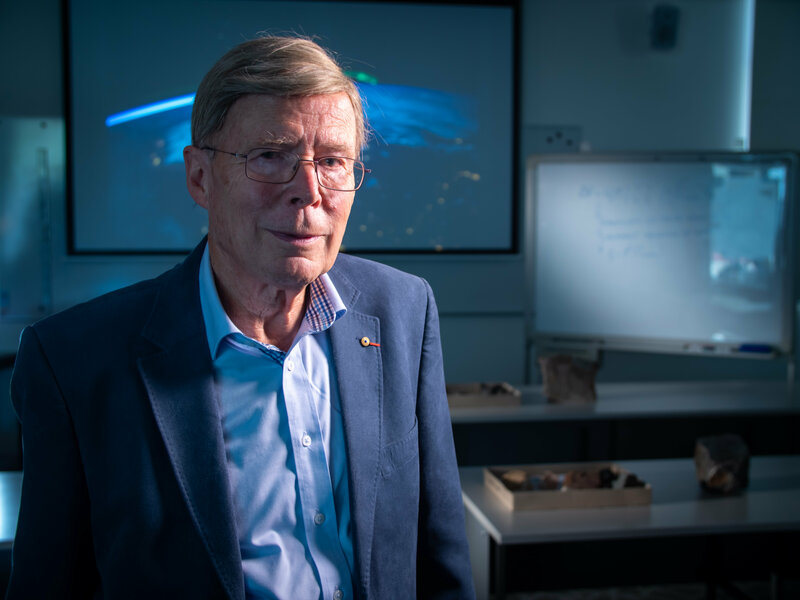 Geophysicist Kurt Lambeck received the 2018 Prime Minister’s Prize for Science, for revealing how our planet changes shape—every second, every day, and over millennia. His original work in the 1960s enabled accurate planning of space missions. It led him to use the deformation of continents during the ice ages to study changes deep in the mantle of the planet. It also led to a better understanding of the impact of sea level changes on human civilization in the past, present and future. Laser physics was the star of the 2018 Nobel Prize in Physics. The prize was awarded half to Arthur Ashkin for inventing optical tweezers and half to Gérard Mourou and Donna Strickland for creating extremely short and intense laser pulses. Mathematician Alison Harcourt was named 2019 Victorian Senior Australian of the Year in recognition of her pioneering work – still in use today – on statistical measures of poverty and the best way to arrange names on a ballot paper. Liam Hall of the University of Melbourne was awarded a 2018 Veski Innovation Fellowship for taking quantum sensing into the realm of chemistry. Also, I was honoured to be elected a Fellow of the Australian Academy of Technology and Engineering alongside 24 other leaders in research, industry and government. I very much see this as a recognition and reflection of the important role that physics and physicists play in the generation and translation of innovation for the benefit of society. I congratulate my fellow new Fellows, many of whom have backgrounds in the physical sciences. I’m pleased to announce the nominated ticket for the Executive for the AIP for 2019. Read on for more information and the process for election. The NSW AIP Branch is calling for nominations for its annual NSW Community Outreach to Physics Award, worth $500. The Award recognises an individual who is a role model to the physics community, promotes student interest in physics, and is an effective physics educator. Nominations close Friday 12 October. If you know an outstanding physics teacher in Queensland, nominate them for the very first Outstanding Physics Teacher Award. The AIP Queensland Branch is inviting you to nominate high school physics teachers that have made a significant impact to physics education. This month brings a lot of exciting news. There will be more on the Nobel Prize for physics―just awarded to Arthur Ashkin, Gérard Mourou and Donna Strickland for work in laser physics. Donna Strickland is the first woman in 55 years to be honoured for the Nobel Prize for physics. Stay tuned to our Twitter account for updates. The Prime Minister’s Prizes for Science will also be announced later in October. This year mathematics and technology teachers are eligible for nomination in the Science Teaching Prize for the first time. If you’re in Brisbane on Thursday 11 October, head to Phil Dooley’s Physics in the Pub event. It’s a great opportunity to support local physicists in a friendly, informal environment. Contact Phil directly if you’d like to get involved, or register on EventBrite. Nominations for the Australian Academy of Technology and Engineering (ATSE) Clunies Ross Awards are closing this month on Friday 26 October. Even if you applied last year and were unsuccessful, try again, or encourage others to apply. More information below. Last month we learned of changes to the HSC physics syllabus in NSW. The new syllabus focusses on physics and its modern uses, rather than its history and development, but the changes have also meant that women and contributions to physics by women have been entirely removed. As Kathryn Ross and Tom Gordon pointed out in an article in The Conversation, the new syllabus mentions 25 scientists by name and all are men. The danger here is ‘You can’t be what you can’t see’: students will find no female role models in the syllabus, and may come away with the idea that physics is not a field for women. The AIP is committed to gender equity through initiatives like the Women in Physics lecture tour, and we will continue to strive for gender balance in Australian physics. I have written a letter to the NSW Minister for Education expressing these concerns. It’s been a busy month for physics with hundreds of events taking place around the country as part of National Science Week. About 30 of those were presented by UK plasma physicist Ceri Brenner, AIP’s 2018 Women in Physics lecturer. Ceri spoke about Igniting stars with super intense lasers, and shared her passion for physics with hundreds of people around Australia at school lectures, public lectures and meetings. Ceri was also featured in a segment on ABC’s The World talking about developing the world’s most powerful lasers. More below on Ceri’s tour. I was personally delighted to hear that Past AIP President Cathy Foley is CSIRO’s new Chief Scientist. Cathy has played an integral part in the direction of the Australian Institute of Physics—she was the 2007-2008 AIP President and is currently on the Women in Physics Committee. She will step into the new role at the end of September to help champion science, and its impact on, and contribution to, the world. We wish Cathy all the best in her new role. Alan Duffy from Swinburne University and The Royal Institute of Australia for the 2018 Celestino Eureka Prize for Promoting Understanding of Science. Congratulations to quantum computing scientist Rose Ahlefeldt who is the 2018 ACT Scientist of the Year—an award that celebrates Canberra’s emerging scientists. Rose will spend the next 12 months inspiring young people to pursue careers in STEM, while promoting the ACT as a centre of excellence for science and research. Also in this bulletin, the Asian Physics Olympiad want you to submit your toughest physics questions and Phil Dooley is looking for presenters for Physics in the Pub in Brisbane. Nominations are now open for NSW AIP’s Annual Postgraduate Awards Day. Our last two bulletins have included surveys about AIP activities and your preferred time of the year for Congress. We haven’t got enough responses yet to share the results, so would love you to complete the surveys before the end of September. Your feedback will help to shape the future direction of the AIP. National Science Week is happening from 11 – 19 August and physics is again well represented. There are over 2,000 events around the country. I encourage you to take part in the Week—whether you’re running an event or attending, you may inspire a next generation physicist or even come up with an event idea for next year. Read more about the physics events below. Congratulations to the Australian Research Council’s 2018 Laureate Fellows—announced last week. This year’s Fellows include many involved with physics including Professor Tamara Davis, Professor Stephen Foley, Professor Julian Gale, Professor Karl Glazebrook, Professor Hanns-Christoph Nägerl and Distinguished Professor Kourash Kalantar-zadeh. Well done to the 15 Australian Research Council Physical Scientists who were awarded ARC Future Fellowships. Read about their projects here. We also welcome Dr Ceri Brenner to Australia as she has already embarked on her month-long AIP Women in Physics Lecture Tour, delivering public lectures around the country. Be sure to go and see one of her lectures—Igniting stars with super intense lasers—around the country. The 2018 Eureka Prize nominations were announced at the end of last month—featuring physicists around the country. Congratulations to the Optical Physics in Neuroscience Team from the University of Queensland on their novel interdisciplinary research, Associate Professor Alan Duffy for engaging the public in science communication, and Dr Mohsen Rahmani for developing a new class of nanoscale surface. In our quick survey this month we are posing a question that should affect about 1,000 of you (the approximate number of delegates to Congress). We are interested in finding out your preferences for when Congress is held: December or July. It would be great to get a large number of responses, so follow this link to take the survey. Australian Science Innovations is also inviting the Australian physics community to submit their toughest physics questions for the Asian Physics Olympiad, which is to be hosted in Australia for the first time. Two hundred of the world’s brightest teenagers will head to Adelaide from 5 – 13 May 2019. The Australian Institute of Physics is dedicated to promoting the role of physics in research, education, industry and the community. We do this through advocacy, encouraging investment in physics, organising research meetings and conferences, supporting physics teachers, recognising distinguished contributions to physics, and more. But, as a member-based organisation, we know our members are the key to our success, and we constantly strive to ensure we are providing the best possible benefits for AIP members. This month we give you the chance to have your say on the future direction of the AIP and help us to make your membership more worthwhile. Take the survey now or read on for more. It also gives me great pleasure in this edition to highlight the work of our two most recently elevated Fellows of the AIP. Dr Maria Parappilly, from Flinders University and the current head of our Physics Education Group, has done fantastic work raising awareness about the importance of having women and good role models in physics, and the importance of education. 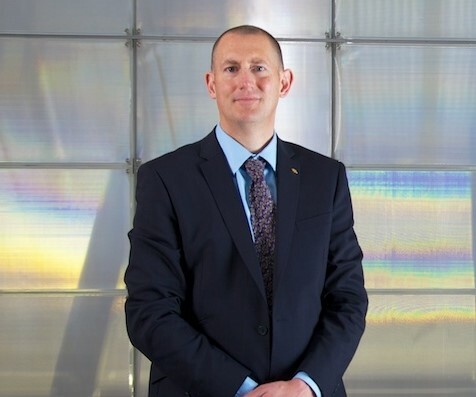 Professor Chris McConville is Deputy Pro Vice-Chancellor for Research and Innovation in the College of Science, Engineering and Health at RMIT University and is a widely respected researcher into novel semiconducting materials. I am also very proud of two Australian physicists who were honoured with the Queen’s Birthday 2018 Honours list: Professor Halina Rubinsztein-Dunlop AO from the University of Queensland and Professor Jai Singh AM from Charles Darwin University. Halina received the honour for her work in laser physics and nano-optics as a researcher, mentor and academic – she was also one of the organisers of the last AIP Congress. Jai received the award for his work in physics education, as an academic and researcher to professional scientific organisations. Congratulations Halina and Jai. Read on for more about the recipients of these awards, and for events around the country where you can hear from some of our best physicists, as well as those visiting from overseas. Finally, I’d like to urge all AIP members to submit an abstract for the AIP Congress in December. The line-up for the Congress is looking great, so make sure you get your name on the list of speakers – the deadlines for abstract submissions is 15 July. It gives me great pleasure to once again welcome a renowned physicist to Australia for the AIP’s annual Women in Physics lecture tour—and this year we’ve chosen Dr Ceri Brenner from the Central Laser Facility at Rutherford Appleton Laboratory, UK. Ceri is a high-power laser plasma physicist who works alongside industry, translating her research on the fourth state of matter, into practical real-world applications in medicine, aerospace and more. She’s also a passionate science communicator who I am sure will inspire audiences around the country. More on that below. Physics also made quite a mark on the media in the past month. Not only was rockstar physicist Brian Cox making the media rounds, but ANU also managed to achieve literally record-breaking numbers of people turning their eyes to the sky for their successful Guinness World Record attempt. We’ll have another huge physics name down under in September. Kip Thorne has announced a string of tour dates, be sure to support the industry and grab a ticket when they go on sale on 22 June. He’ll be supported by local star of Swinburne astronomy Alan Duffy and comedian Robin Ince.